Louis Scholle of Higginsville died last Friday, April 16, at the home of his daughter, Mr. and Mrs. R. F. Kessler at Corder, after a short illness. He reached the age of 90 years, 3 months and 4 days. His wife preceded him in death Jan. 3, 1952. Funeral services were held Sunday afternoon at 3 o’clock at the Lutheran church in Higginsville conducted by Rev. Julius Fritze. Burial was in the city cemetery in Higginsville. Mr. Scholle is survived by one son, Albert of Higginsville, two daughters, Mrs. Ada Maring of Concordia and Mrs. R. F. Kessler of Corder. Seven grandchildren and three great-grandchildren also survive. 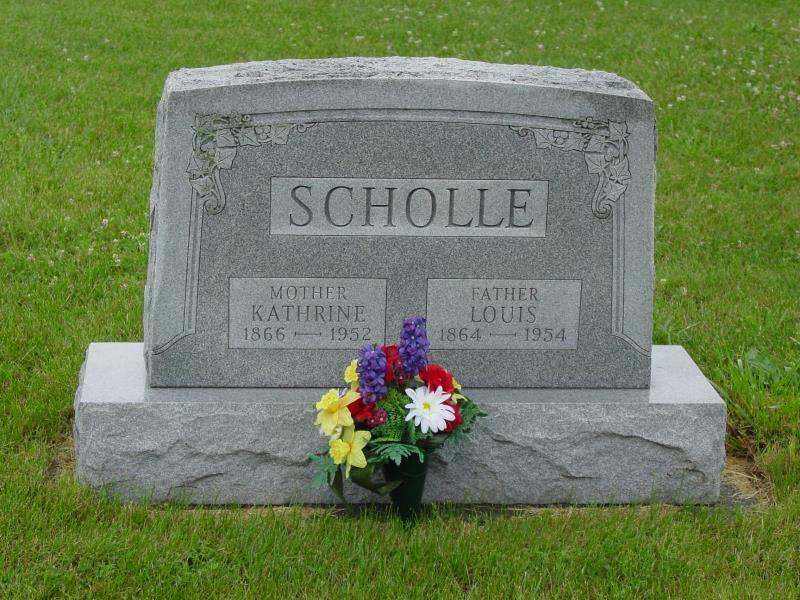 Louis Scholle was my g-g-granduncle. Louis Scholle was born in Ohio County, Indiana.